This morning we told our bed and breakfast host not to worry about preparing our breakfast as we had decided to have breakfast out. 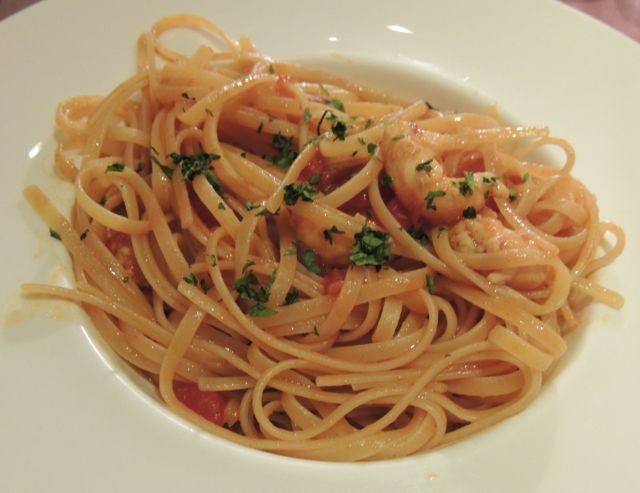 We wanted to try more of the fine food Venice had to offer. 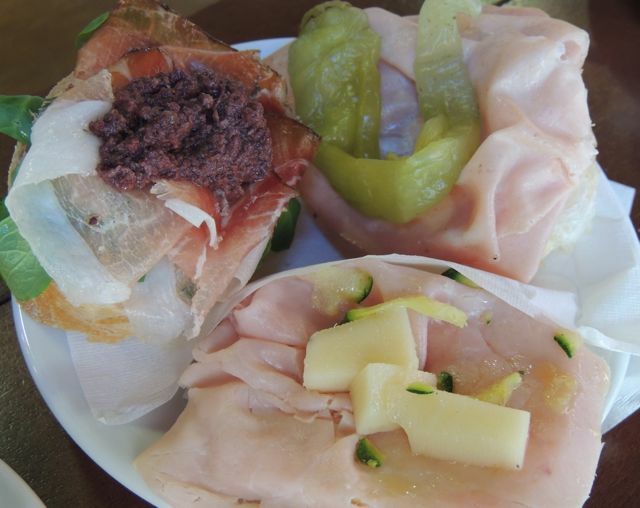 We walked in to a gorgeous little café that had the most delicious looking Panini’s!! The boyfriend (Sean) proceeded to order two espressos but realized we had ran out of money, we were given directions to the closest ATM (automatic teller machine) which we were told was 5 minutes away but an hour later we found it. How did we miss it, it was so obvious!! 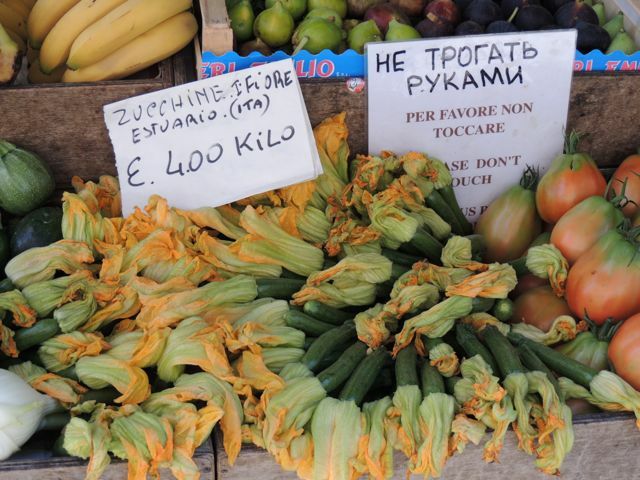 On the way back to the café we walked past an Italian lady selling beautiful fruit and vegetables, I think Sean is getting sick of my taking photographs of fresh produce I see in the countries we visit on this Quirky adventure but I just can’t resist!! I could not resist buying a punnet of strawberries. 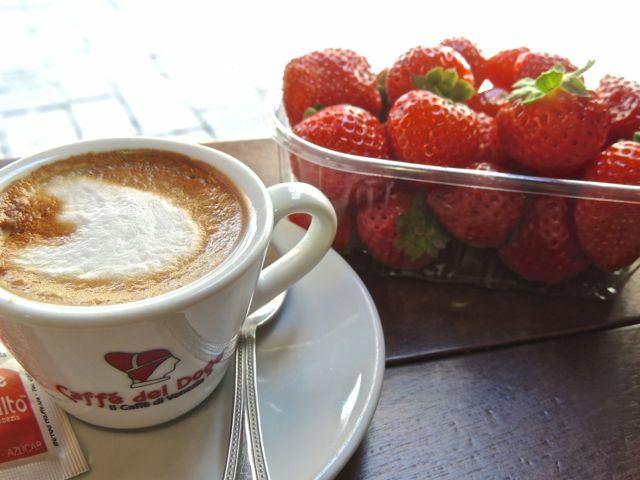 By the time we got back to the café it was closer to lunch so we ordered our espressos, delicious Panini’s and I enjoyed this with my fresh ripe strawberries!! YUM, this meal was divine!! Today I felt like a new woman, I was finally in fresh clean clothes and my skin felt amazing as I was wearing my normal moisturizer again!! Good nutrition is essential for healthy skin and it took losing my luggage to realize how my holiday food choices had affected my skin. Yes I was on holiday and yes it is important to try new food and indulge a little whilst on holidays but I was now feeling the effects in many ways. As this is a nutrition blog I think it is fitting to talk about the moisturizer I use as when I was reunited with my luggage, I was also reunited with what I feel is a great moisturizer for dry skin. Gernetic make a beautiful range, I use Synchro which is not only moisturizing but contains three biological compounds that are rich in amino acids as well as including trace elements and vitamins, allantoin and calendula oil, I seriously can’t live without this nutritive cream!! I have also joined the BB cream craze and use the Garnier brand as I too find this quite moisturizing as well as containing anti-oxidant properties and Vitamin C which boosts the skin’s natural glow and radiance. My BB cream has really assisted me on my Quirky adventure to date. Today was our last day in venice and as a few Quirky mishaps had already happened to us this trip we wanted to minimize risk by staying our last night in a hotel within a 5 minute walk to the train station. This would hopefully ensure we made our connecting train to Rome the next day!! 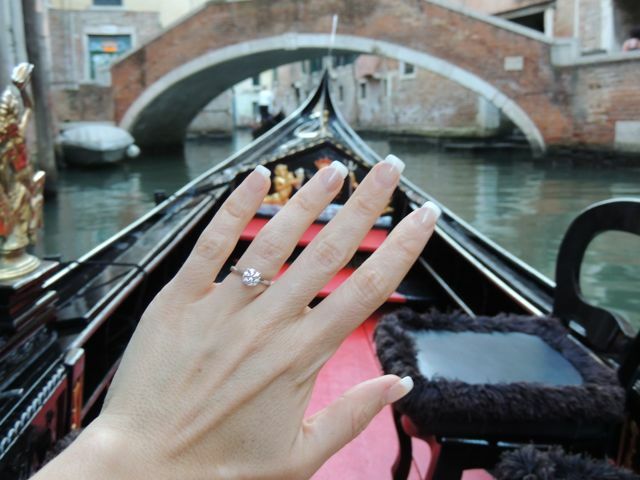 The time was going so quickly and we hadn’t even gone on a gondola ride!! I had mentioned the gondola to Sean but I didn’t think he was too fussed so I didn’t push it. This afternoon was our last opportunity to explore Venice; I didn’t want to leave as it was so relaxing. 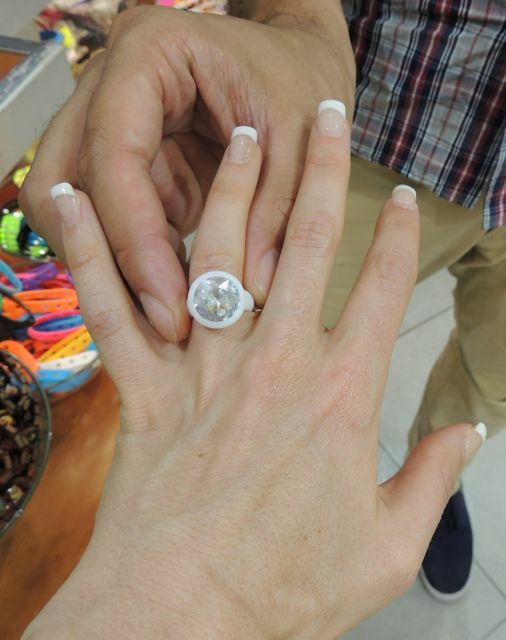 We ventured through many souvenir shops when I stumbled upon a tacky 2 Euro plastic fake diamond ring. I thought it would be funny to have Sean put it on my engagement ring finger and took a picture. I figured there was a practical joke to be played back in Australia with this photograph.. Sean on the other hand didnt see the humour. I was surprised when Sean pushed the idea of a gondola ride.. It was quite pricey but this was probably a once in a lifetime opportunity for both of us. Sean was adamant on getting a bottle of wine for us to take on the gondola so we borrowed some wine glasses from a cafe and off we went!! The gongola ride was amazing, it is so peaceful on the water.. I was having an amazing time when Sean mentioned he had something for me, ohh what a sneakster I thought, thinking he had purchased the 2 euro ring we had seen earlier. To my utter surprise he actually presented me with a REAL diamond ring and proceeded to ask me to marry him, WOW!! I can’t recall the next 3 minutes as I was in a state of shock but apparently my face went quite red and as I went to speak nothing verbal came out but tears of happiness did.. The remainder of the night was a blur as I was on a massive adrenalin high. This feeling was surreal and in fact I even ordered pasta for dinner tonight and as delicious as it was this is very out of the ordinary for me.. It was definitely not an ordinary night! !